Think of your worst case public relations scenario, if you’re a local business putting all your eggs in the email marketing basket, that is. For instance, imagine you run a bakery full of delicious tarts and treats for the local community. One summer day you find yourself with an abundance of incredibly ripe, juicy peaches you scored on a great wholesale deal from a local orchard. You decide to embark on a peach pastry baking bonanza. Thanks to your email marketing service, you feel confident the word about all these peachy treats will get out to the local community residents, and in no time your bakery will have a line out the door. But, as the day passes, you notice only the slightest uptick in your usual clientele numbers. Scratching your head, you’ve wondered what’s gone wrong. Here are all of these fresh peaches transformed into the most delicious pastries and no one even seems to be noticing. What you failed to realize is that while you’re excited about your peach pies and peach cobblers, only about a third of the clientele you’ve sent emails to even know you’ve got a special product to offer. Only that third of your recipients have bothered to open your email. And, of those recipients, only a small fraction clicked to your website to learn more. So while you’re trying your best to push your time sensitive message through, your call out to the community is barely being heard. Let’s not throw the baby out with the bathwater, though. There are some things you can do to help your message reach your audience. One of the most effective of these being mass texting for your business. Mass texting allows you to get your message out immediately to the people who will care most about it. Mass texting is a great addition to an email campaign. There are some wonderful advantages to texting a large group. There are some disadvantages too. Mass messaging is also helpful in boosting the voice of your email message. Most people are inundated by email from all sorts of organizations, retailers, associations, and establishments all vying for their attention. Although recipients may check their email often, they often ignore marketing emails. We live most of our lives through our phones. That’s just a fact. Most of us have our smartphones at the ready, waiting to respond to the next text or social media notification. Mass messaging through text is an excellent way to get time sensitive information in front of the faces of your clientele so they don’t lose out on a great deal. Let’s look back at that pastry example. If you’re the owner and head baker, and you’re doing your darndest to unload those peaches, the best way to let everyone know that you’ve got the freshest peach pastries ready and waiting to go is by sending them a short, sweet text they’ll be sure to see. Chances are, a good percentage of the recipients of that message will be out and about anyway, and may just find an opportunity to swing by your bakery to pick a peach treat up. Mass messaging allows you as a business owner to gauge the interest of your clientele about your products and promotions. You can use messaging to invite your customers to participate in surveys or give you feedback on your messaging strategy. Finding a new customer and keeping them for life are two very real challenges. Mass messaging serves a unique purpose in incentivizing customers to remain loyal by returning to your business time and time again. Mass text messaging does come with some drawbacks, however. Knowing what the drawbacks are and when it’s appropriate not to engage in mass messaging will help you be more successful with this marketing strategy. Often, with mass texting, the message must be kept short and sweet. No fancy graphics and fonts for this medium will be available, either. But, in a short attention span culture, short and sweet isn’t always a bad thing. You’ll just need to be a little more creative keeping your message interesting and to the point. 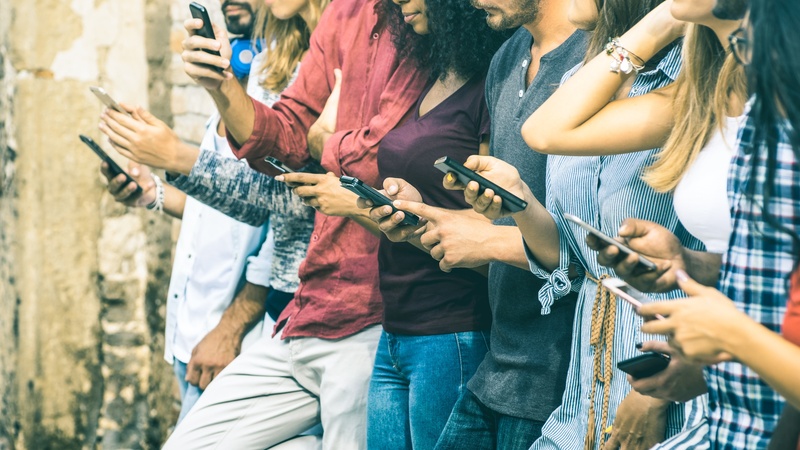 If you send the same promo out over text message each week, your customers’ eyes will soon glaze over, and you’ll be lucky if they even notice the message at all. Mass messaging requires that you put a creative twist on your message so that your words are fresh and appealing for your clientele. No matter what you specialize in, if a portion of your business’s success relies heavily on customer awareness and loyalty and mass messaging is an effective way of getting the word out. Used in tandem with email campaigning, or alone as a quick heads up for your customer base, mass messaging will remind your customers that you’re serious about their business.